McDonald Wholesale provides quality food distribution services for institutions in Oregon, Washington, Idaho, and California. We understand that large institutions face a unique challenge of serving vast numbers of stakeholders with varied needs. 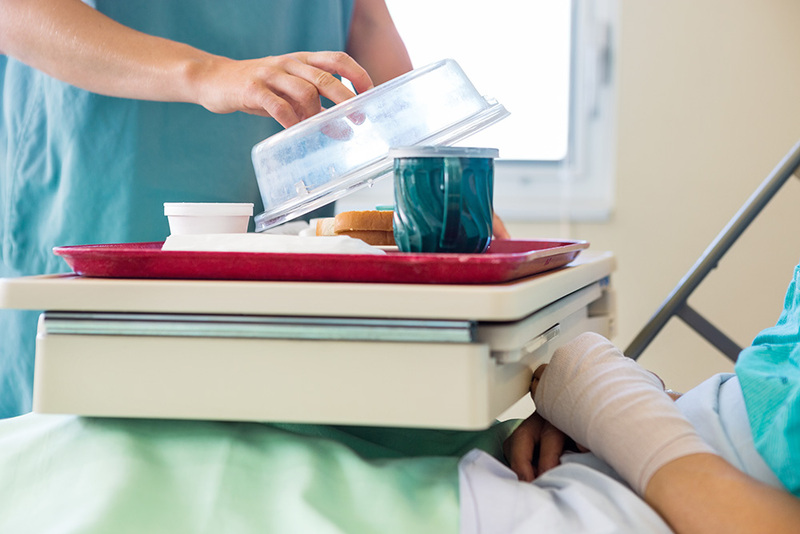 Hospital food service providers need be mindful of their patients’ dietary restrictions and generate flexible menus to meet their needs. For stadiums, food distributors need to seamlessly expand or contract the scale of services as determined by event popularity. McDonald Wholesale has served Northwest organizations with wholesale food distribution for over 90 years. We have the experience and expertise needed to develop tailored food supply strategies that for work best for your institution. As a McDonald Wholesale partner, you have access to over 1,100 quality food brands. You can rest assured that all of our products are USDA inspected, quality assured, and deliver consistent performance. We pride ourselves in providing the best in food product safety, adhering to rigorous inspection protocols to ensure that our products meet the highest standards of safety and nutrition. We are in the unique position to help our institution partners find the right vendors in Oregon, Washington, Idaho and California. Through our strong vendor relationships and bundled pricing plans, we help you minimize cost and maximize customer satisfaction. We work with our institution partners to develop contracts that best fit their unique needs. Our experts are here to help you every step of the way, from purchasing to making sure your food service meets all required guidelines set up for your institution. We’ll work closely with you to manage contracts that ensure a seamless wholesale food distribution system at great value. To successfully deliver quality food service to the customers of an institution, it is essential that you stay informed about all facets of your food supply structure. That is why we bring you the data you need in the form of carefully curated reports and audits. Our cutting edge reporting capabilities let you foresee any changes needed in your food distribution plan, so you can provide the best service to your patrons. McDonald Wholesale generates customized food distribution plans that works best for our partners. Our experts are always on the lookout for opportunities to reduce costs, increase services, and help you provide an effective food service. Ready to start your partnership with the Northwest’s finest food distributor? Contact us online or give us a call on our toll-free number (877) 722-5503.